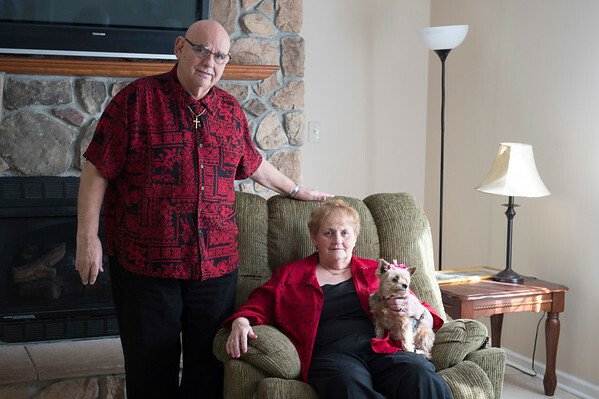 Joed Viera/Staff Photographer- Lockport, NY- Larry and Allie Morrow with thier dog Baby Girl. The Morrows have been married for 20 years and met through a US&J ad. The couple will be renewing their vows at Woodlands Community Center on Valentine's day.